Can Japan's countryside be saved from the edge of extinction? Once upon a time in Okayama, Japan, lived an old man and an old woman who had no children of their own. One day, the old man went into the forest to cut down bamboo while the old woman went to the river to wash clothes. While at the river, she noticed a giant peach bobbing up and down in the water. She took the peach from the river and brought it home to show to her husband. In the evening, when the husband came home, he started to cut open the peach to eat it, but before he could, the peach split open by itself and a baby boy jumped out. They named him Momtaro, the Peach Boy. So far so good, eh? 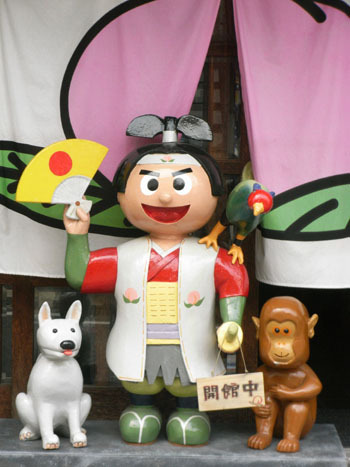 But one day years later, a marauding demon (oni) came into Momotaro’s village and stole things from the people. The demon came back often, especially at night when the villagers were sleeping, and caused havoc. Momotaro, now a brave, strong boy of 15 years, decided to fight the demon to save his village from its wrath. Now, you don’t actually believe this part, do you? I’d say that the “demon” was likely an outsider who had moved to the village recently and didn’t know anyone. Maybe he worked for a woodcutting company who transferred him to a new bamboo forest branch. But due to the villagers’ paranoia of outsiders, they blamed the newcomer for every petty theft or lightening strike that befell the village. No doubt there are demons living in Japan’s countryside. They are all outsiders. They’ve done nothing to earn their disparaging reputations, but nonetheless, people are afraid of them because they are different — they’re from somewhere else. They bring with them ideas from somewhere else, customs from somewhere else and habits from somewhere else. That somewhere else could be Osaka, Tokyo or England, but they cannot be trusted because, well, no one knows who they are! Many Japanese villages still shun outsiders, afraid of what they might bring into the community: disease, erosion of traditional culture and values, progress . . . And if the demon population should rise, surely the quality of life will get worse. Or so the thinking goes. So it’s no wonder that Japan’s villages are disappearing. Populated by elderly people, who tend to die, there are no young people to replace them. Yet no one is game to let outsiders come in and fill the role either. On my island, they keep the demons out by not selling any land. Every year we get inquiries from Japanese people who would like to move here to enjoy the simple life on the Seto Inland Sea. But the locals (some who now live somewhere else such as Tokyo or Osaka) will not sell them their empty house or their overgrown, unwanted land. Even if they desperately need the money. Instead, they let the empty house sit until the elements wear it away and the building buckles from lack of maintenance and TLC. Even reduced to a pile of rubble, the owners still won’t sell. Hey, a derelict fire hazard is better than being encroached upon by demons! In other villages, the solution is slightly different. As soon as a village house is put up for sale, there is a collective sucking through the teeth and a village movement to buy the house. That way no outsider can buy it! After all, what if the new house owner hung their underwear outside to dry, or kept lions as pets, or proposed changes to make things better? The locals may lose control of their ancient ways. They don’t intend to change the good ole days. Besides, there is no Momotaro to kill them off. And these days, the Peach Boy would be a candidate for capital punishment. With the lack of progress in the countryside, it’s no wonder the local young people don’t stick around. “It’s a death trap, it’s a suicide rap, we gotta get out while we’re young, ’cause tramps like us, baby we were born to run.” Sing it Bruce Springsteen! Can Japan’s villages be saved? Of course they can. Individuals are sitting on the sides with band-aids, super glue, cash in hand and ideas for development. But these people will have to wait until the village is on the brink of collapse and there is no one left alive to oppose any changes. And by then, those with the ideas will have gone elsewhere. In order to save a village, a village must allow itself to be saved. You can celebrate diversity or you can fear it. And die fearing it. Like so many other things in Japan such as the declining population, rather than tackle problems before they get too big, the decision-makers wait until there is no alternative left. I predict that Prime Minister Noda’s dying words will be “Immigration!” but by then, Japanese people will have become an endangered species. But someday, someone from somewhere will unearth one of the villages in the countryside and reconstruct it. They’ll spend lots of money to develop a state of the art outdoor museum with a village center, rice paddies and a countryside dotted with traditional wooden Japanese-style country houses. The museum will be awarded a place on the list of UNESCO World Heritage Sites. At this outdoor museum, international visitors on the Visit Lost Japan Campaign will learn about the defunct empire of Japan that flourished for thousands of years and had such a rich and influential culture, it reached all corners of the world. But the mystery of it all is that one day, their civilization just disappeared, like the dinosaurs. 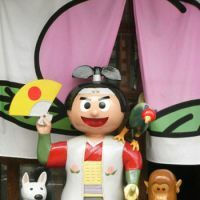 The theme song to Momotaro the Peach Boy will play in the background as the visitors leave the park and embark on a journey to the next ancient ruins on their world tour.